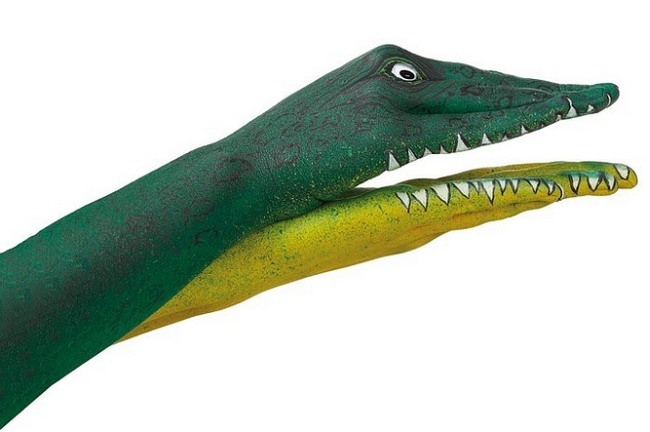 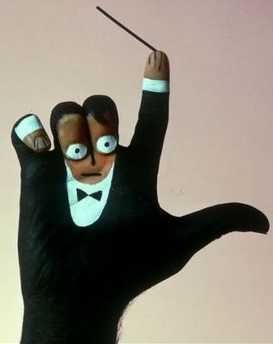 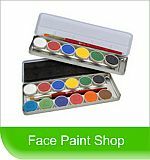 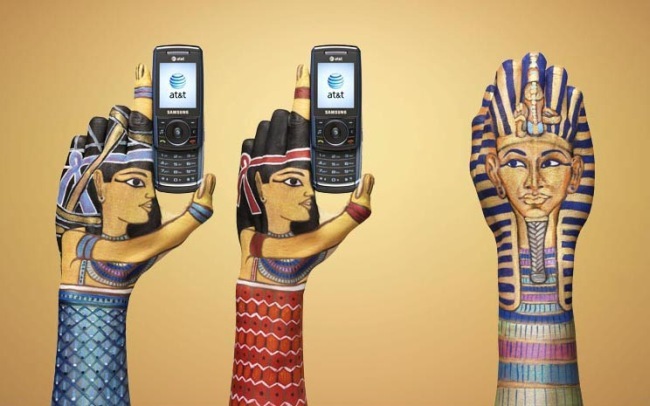 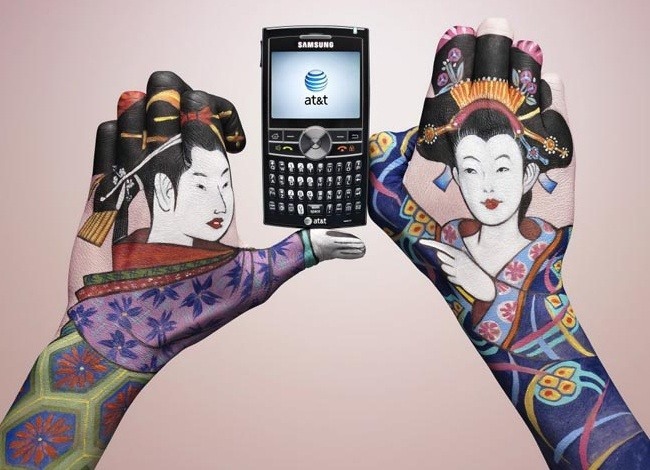 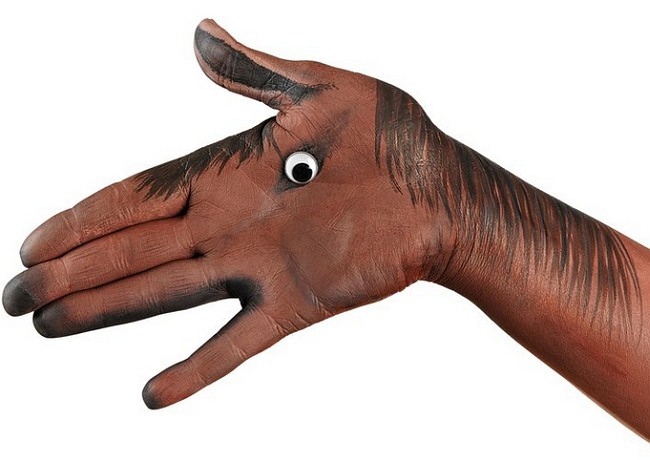 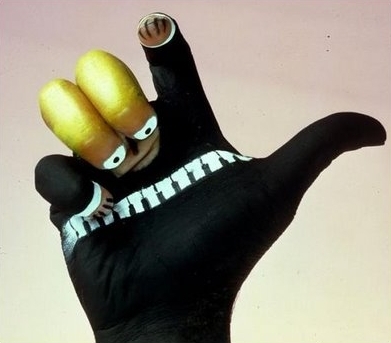 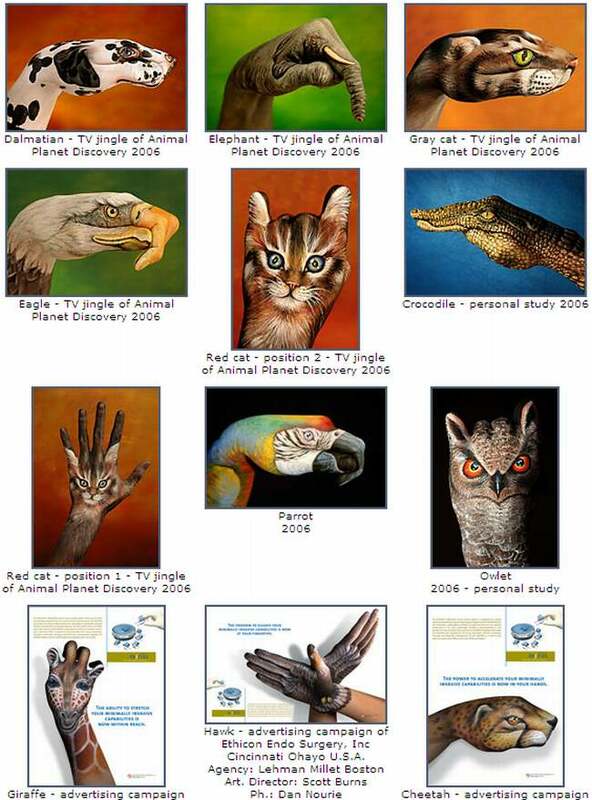 Advertising agencies, always looking for new creative ideas to market products have also commissioned artists to paint hands for the promotion of various products. 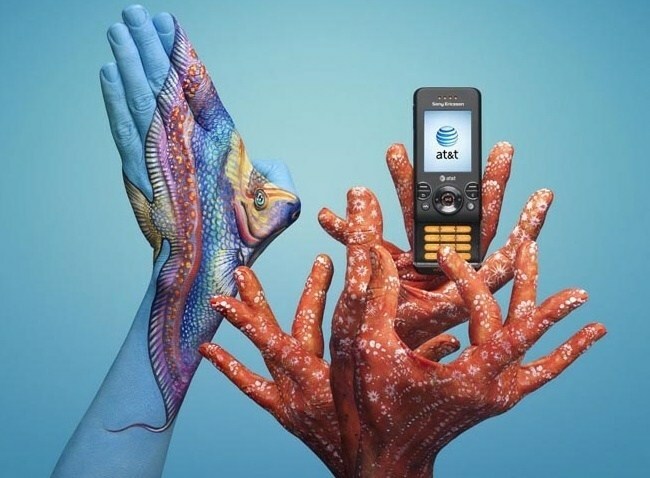 An example of this is the series below commissioned by AT&T. 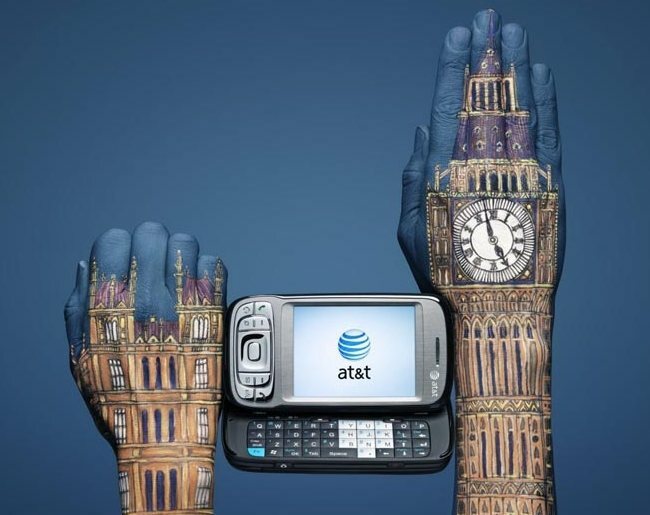 The following series of work was commissioned by AT&T. 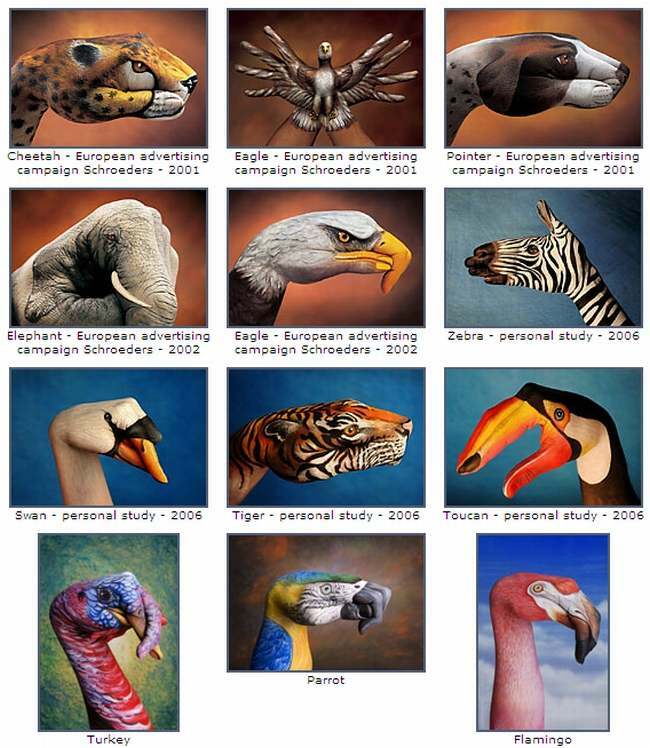 Each of the images represents a country in the world. 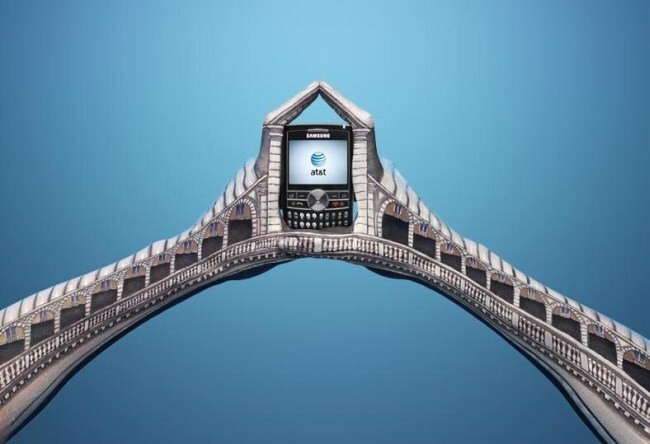 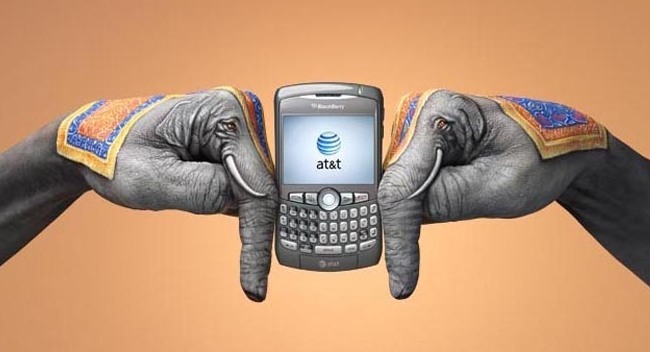 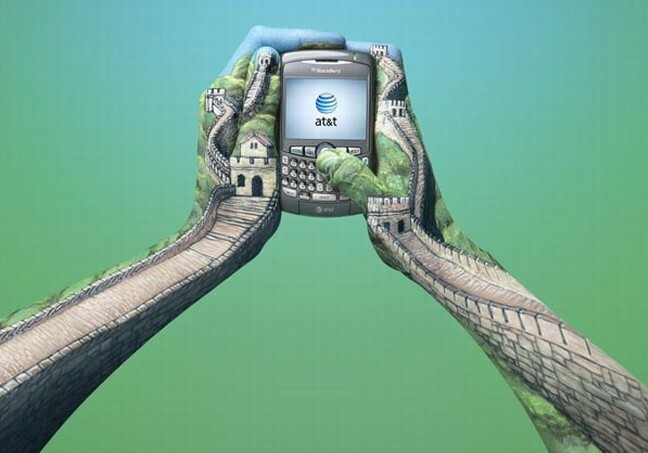 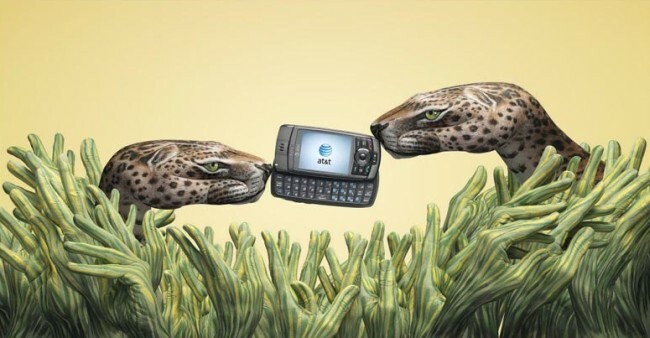 The ads for AT&T wireless international roaming, where created by advertising agency: BBDO Atlanta New York USA to show that the roaming service works in over 200 countries. 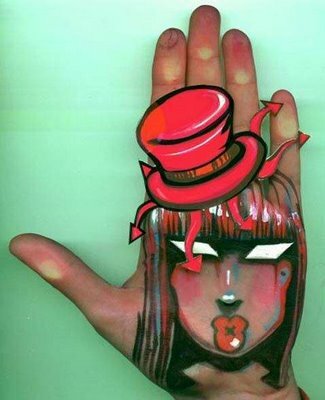 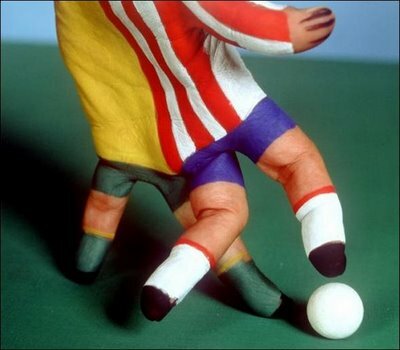 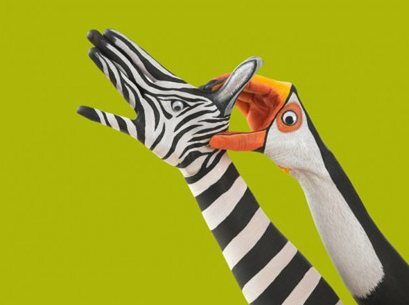 The artist (Guido Daniele), used painted hands in different settings specifically for each country. 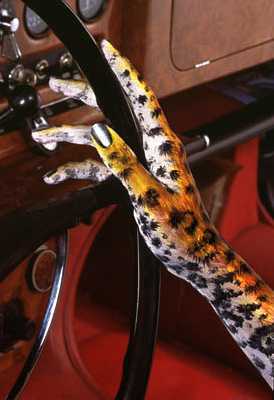 These 3 images above are painted by Mario Mariotti (1936-1997), an Italian artist from Florence, famous for his hand painting art.